After losing his WWE Championship to Daniel Bryan on an episode of SmackDown Live just before Survivor Series, AJ Styles seems to be edgier than he was previously. After winning the WWE Championship, we saw Daniel Bryan transform himself into ‘The New” Daniel Bryan while changing into a heel character. On the other hand, Styles came face to face with the Chairman of the Board Vince McMahon and attacked the boss in an act of anger, which was stemmed by Vince trying to push him over the edge. While it seemed like Styles had made a mistake, the end of the segment made it seem like it was Vince’s plan all along and that it was exactly what he wanted. Now that there is a segment scheduled between the champion and the challenger of SmackDown Live along with Vince McMahon for the January 22, 2019 episode of SmackDown Live right before the Royal Rumble, a few things can happen at the segment. While we have already seen a list of stipulations that can be added to the match between Bryan and Styles, there is a chance that Vince will stack the odds in Daniel Bryan’s favor during the segment. 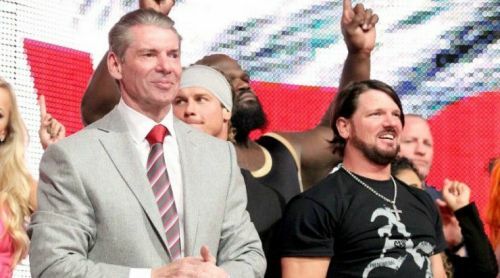 Take a look at the three reasons below why we think Vince will try to make things difficult for AJ Styles in his quest to win back the WWE Championship from Daniel Styles at the Royal Rumble. Daniel Bryan’s heel turn was more shocking than his victory against AJ Styles to win the WWE Championship just before Survivor Series 2018. 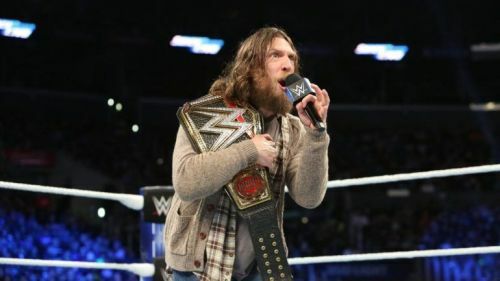 Since his low blow to AJ Styles and subsequent win over him to take away his championship, Bryan has worked hard with promos to establish himself as a top heel on SmackDown Live once again. This led to the emergence of ‘The New’ Daniel Bryan and the death of the YES Movement. SmackDown is not short of top heels with the existence of Randy Orton, Shinsuke Nakamura, and Samoa Joe on the brand, but a new heel winning the WWE Championship is surely a breath of fresh air after Styles held the championship for over a year as a face. Now Vince will surely try to either provoke Styles or stack up the odds against him to get Bryan an unfair advantage in their clash at the Royal Rumble which will surely pull more heat towards Bryan and establish him as a much greater heel.